For three days last month, El Salvador was the deadliest country in the world. The 125 people killed in gang-related violence from 16-18 Aug. could not be matched even by the horrors in Syria and Iraq. Violence related to organized crime is perhaps the most significant threat to Latin America’s Christians, according to Dennis Petri, Latin America analyst for Open Doors International, a global charity that provides support to Christians living under pressure. Of course, the violence not only affects Christians, but Petri says practising Christians are often singled out and targeted due to their “perceived threat to the hegemony and influence of criminal organizations”. How does organized crime affect Christians in Latin America? Organized crime is characterized by a combination of underperforming states, in which the rule of law is not guaranteed and corruption is endemic, in combination with the multiplication of various criminal organizations (whether mafias, drug cartels, revolutionary insurgencies or paramilitary groups) which operate with impunity. Christians are vulnerable because their behaviour – based on the biblical worldview – is contrary to the greed of organized crime. Persecution of Christians, particularly by criminal organizations, is generally motivated by a combination of two elements. Firstly, criminal groups view Christians who openly oppose their activities as a threat, especially when Christians get involved in social programs or in politics. Secondly, they fear Christians will influence members of the community or even members of their own organizations to oppose their activities. It is difficult to provide an estimate of the number of Christians that are affected, but members of all denominations of Christianity can become victims, though it affects mostly the more outspoken Christians who play prominent roles in social or public life, or fulfil leadership positions – both at community and national levels. Colombia is a country with multiple realities. Formally, Colombia is a modern democratic country where the rule of law is established and religious freedom guaranteed. However, large areas of the country are under the control of criminal organizations, drug cartels, revolutionaries and paramilitary groups. In this context of impunity, all inhabitants of Colombia suffer from the Americas’ longest-running conflict, which has been hailed today (24 Sept.) as due to end by 23 March 2016. Christians have been specifically vulnerable to hostilities. Contrary to what President Juan Manuel Santos (re-elected in 2014) has claimed, the country is not generally becoming safer. Many Christians continue to be targeted because of their individual activities as influential pastors, political leaders, journalists, lawyers, human rights advocates, indigenous rights advocates or environmental protection advocates. During 2014, at least five Christians were killed for their faith by guerrillas, paramilitaries and other criminal organizations (in the departments of Guaviare, Meta, Antioquia and Córdoba). About 20 churches were also forced to close – either because they had been critical of illegal activity, or because they were viewed as accomplices of the government or other groups that had opposed illegal activities. Numerous Christians were displaced, while violence against Christian women increased. In community life, criminal organizations or guerrillas obstruct Christians in their daily lives, monitoring their activities and impeding anything that goes against their interests. Christians particularly experience hindrances with regard to access to education, health and other social services. In national life, criminal groups often take over the traditional roles of the state, which in practice means there is no rule of law and harm inflicted to Christians is left unpunished. In church life, organized crime reduces the freedom of Christians to gather, as church services are constantly monitored and sermons censored. 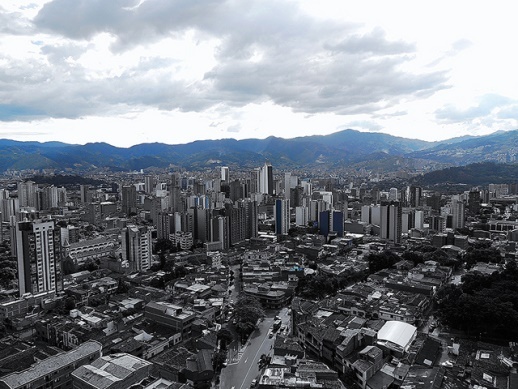 The security situation continues to be unstable in Colombia. Rebels have reconquered part of the territories they had lost to the army during the administration of President Alvaro Uribe Velez. Notwithstanding the recent peace agreement between the Colombian government and The Revolutionary Armed Forces of Colombia (FARC), many analysts predict that the guerrillas will use these territories to continue resourcing their organizations, which could lead to increasing levels of persecution of Christians. However, today’s agreement, described as “historic” by US Secretary of State John Kerry, includes the setting up of a Truth Commission and an amnesty law for combatants, except for those who have committed war crimes and human-rights violations. Negotiators have already reached agreement on land reform, political participation and illegal drugs. The leader of the FARC renewed calls for the government to agree to a truce during the remaining six months’ negotiations to allow “the transformation of the FARC into a legal political party”. Violence in Colombia will continue, despite the peace agreement. In areas where the government has lost control of public security, drug cartels and illegal armed groups still continue to operate with impunity. This means that these criminal gangs will continue to target Christians. The whole of Mexico has been plagued by consistent non-state violence and the rise of transnational networks and gangs related to organized crime and drug trafficking. This violence has become one of the main concerns for Mexican citizens and its government. The effects are clearly visible, distorting the overall functioning of society by creating a culture of fear, impunity and corruption. 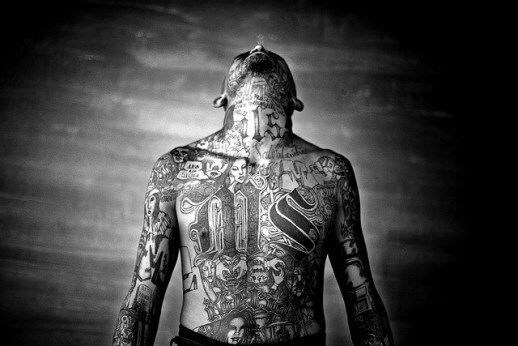 Especially in North Mexico, the existence of strong drug cartels has generated chaos and extreme violence. States in North Mexico, particularly Nuevo León, Tamaulipas, Michoacán and bordering states, are so problematic that they are considered by some as failed states. Indeed, North Mexico is one of the most violent regions in the world. Heavily affected by crime, the area is under the influence of extremely violent drug cartels such as the Sinaloa Cartel and the Zetas. The population of North Mexico is relatively homogenous. The proportion of Christians in this area does not vary much from the national level: the vast majority of the population self-identifies as Christians (83.8% Catholics and 7.6% per cent Protestants). Less than 50% of all Christians, however, regularly attend church, making this group a minority. Practicing Christians experience pressure through extremely high levels of violence, which is pervasive but affects them to a higher degree. Throughout the country, drug cartels have implemented a sophisticated “tax” collection system in the territories under their control. It is a very common practice of such criminal organizations to charge churches or businesses for the right to remain open or to be allowed to organize a public meeting, to collect a percentage of the proceeds of a business, or to charge for protection. The phenomenon of illegal charges, which is the most common form of extortion in Mexico, is typical of failed states, in which criminal organizations take over traditional roles of the state. Criminal organizations make all kinds of threats, including the kidnapping of family members if the extorted entity refuses to pay. Victims often cannot denounce the threats because there is no legal security -often because the police also are corrupt. Many churches are required to pay “taxes” in order to be allowed to remain opened. This is a recurrent theme in most of the interviews I have conducted and is by far the most significant threat on church life in the researched states. It is difficult to assess the extent of these charges because most go undenounced (according to government officials, only 10% of the extortion is formally denounced), but most of the people interviewed acknowledged that this is a massive phenomenon affecting virtually all churches, while many others appeared too afraid to speak. Next to extortion, kidnap-for-ransom is the most common threat in Mexico, which frequently affects practicing Christians, both in church and business life. As with extortion, kidnap-for-ransom is mainly an income-generating activity – churches and Christian businesses are targeted because they are seen as revenue centres. Kidnapping can happen for commercial reasons, but can also happen to intimidate, or as reprisal for not cooperating with a previous requirement. The scope of kidnappings is difficult to assess quantitatively, but it can be established that churches are greatly affected by this threat. Church services are restricted in practice by the general context of insecurity and impunity, which makes meeting in a church dangerous. Large gatherings are always at risk of being interrupted and attacked – for recruitment of youths, extortion or kidnappings – but especially church meetings, which are visible, recurrent and generally easy to enter. In many areas, church leaders have decided not to organize evening services for security reasons, and in some areas no church services are organized at all. Drug cartels also place restrictions on church services, prohibiting them in certain areas and even closing some churches – generally due to a failure to pay their “taxes”. Evangelistic activities are also restricted in some areas, while there are reports of individuals being prohibited from attending church services or obliged to report to the drug cartels whenever they visit a particular church. Risks increase with active religious behaviour. In fact, simple church attendance increases risk. The fact that practicing Christians are easily identifiable also increases their vulnerability. The visibility of church services, for example, makes churches easy targets. Some of the larger churches are seen as revenue centres by organized crime groups, as they are thought of as having a lot of financial resources. Youths are constantly at risk of being recruited into criminal organizations. Christian workers who actively reach out to cartel members in order to share about the Christian faith greatly put their lives in danger. Christian leaders engaging in this kind of activity can expect to receive death threats. Cartel members who convert to Christianity and consequently abandon their cartel risk being killed. The moral authority of Christian leaders is perceived as threatening by organized crime groups. Most interpretations of Christianity seek to promote spiritual and social transformation, which conflicts with the interests of cartels. Civic participation, such as participation in drug rehabilitation programs or youth work, also directly threatens the market and influence of drug cartels, and therefore increases the vulnerability of this religious minority. Speaking out publically against injustice or criminal activity – from the pulpit or elsewhere – is extremely dangerous and can result in various forms of intimidation by cartels, including beatings, attacks on houses of church leaders, or even killings. From personal research on the ground, I know there is widespread surveillance of churches by drug cartels and that the content of sermons is monitored. Reporting on organized crime, in journalism or in academia, is a risky business, as is reaching out to police officers to clean out corruption. The organization of prayer services for police and security forces is also extremely risky. A number of other reports have also stressed the impact of organized crime on Christians. The 2013 International Religious Freedom report by the US State Department mentioned that “there was a report priests faced an increase during the year in extortion attempts, death threats, and intimidation”. A narrative report by the International Crisis Group on criminal cartels and rule of law in Mexico also made reference to priests. An address to the US Congress by Jorge Lee Galindo, the Mexican representative of Christian Solidarity Worldwide, referred to “narco-persecution”. Awareness about the vulnerability of Christian workers in the face of organized crime is also beginning to rise in Mexican society. An article in El Universal, one of Mexico’s leading newspapers, was titled: “Organized crime is intolerant of priests”. 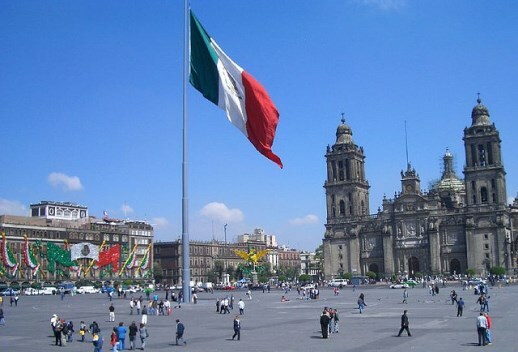 The security situation in Mexico will remain dire for the foreseeable future. National security forces have been incapable of adequately addressing the situation – in part because of the infiltration and co-optation of security and judiciary institutions. 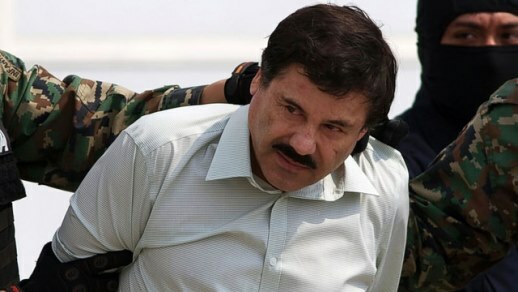 The escape from prison of Mexico’s fiercest drug lord and leader of the Sinaloa cartel, Joaquín Guzmán (commonly known as “El Chapo”), reveals how powerful the drug cartels are, and the extent to which they have infiltrated the country’s security system. Little is wrong with the constitutions or legislation of most Latin American countries, as far as the rights of religious minorities are concerned. The problem is that these rights are not enforceable in a context of impunity and organized crime, where drug cartels actually regulate religion to a considerable extent. For policymakers, reducing the risks for Christians caused by organized crime seems like an obvious place to start, especially because the position of religious minorities is to a large extent dependent upon the social and political context. Efforts in the fields of state reform, corruption prevention, strengthening of the rule of law and human rights education are essential to Latin American societies as a whole, but specific attention to the vulnerability of practicing Christians in the framework of organized crime is required.